Now that I live in the Niagara region, I can visit the commercial greenhouses. Both Sunshine on Carlton Street and Seaway on the Lakeshore are retail/commercial combinations. They welcome visitors and it is possible to see the poinsettias as they mature from little plugs to mature specimens. Here are two of the view yesterday. 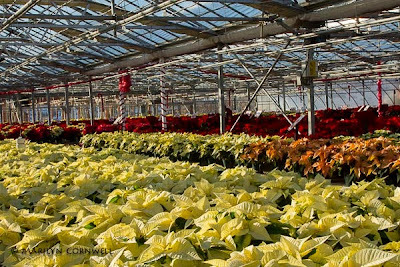 These are sections of the greenhouses. 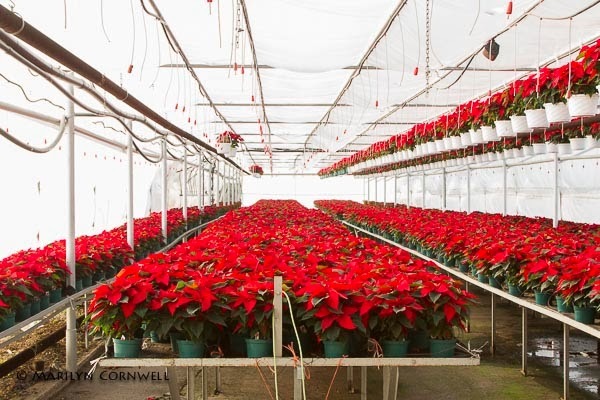 There is no easy way to capture the full impact of all these poinsettias.